The Concord Public Schools and Concord-Carlisle Regional School District is a district that includes six schools (Concord Integrated Preschool, Alcott Elementary School, Thoreau Elementary School, Willard Elementary School, Concord Middle School, and Concord-Carlisle High School) as well as a community education program for adults. 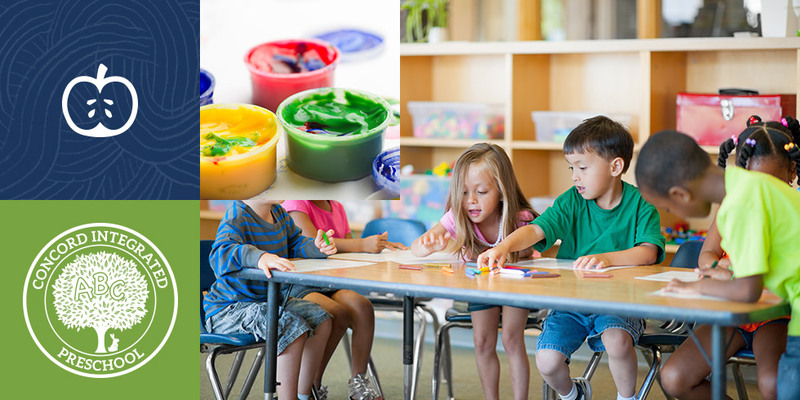 The mission of these schools is to educate all students to become lifelong learners, creative thinkers, caring citizens, and responsible contributors in our increasingly diverse global society. It’s an important job, one which school leaders and administration take very seriously—which is why they approached Sage Island about helping them redevelop and redesign their online presence. 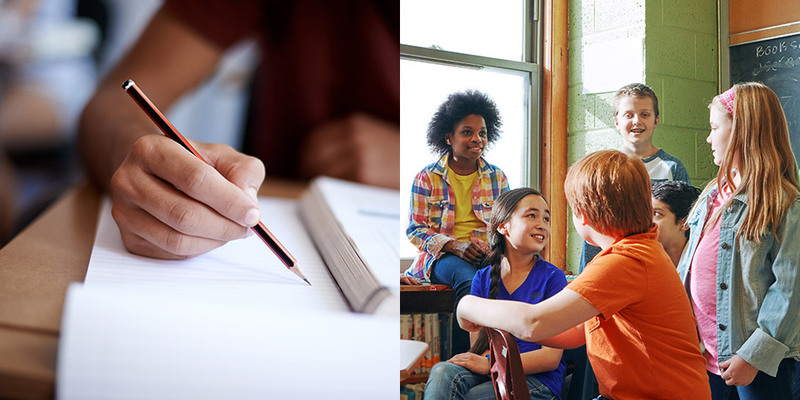 How do you unify a district that contains six separate schools, while also streamlining how they communicate with their individual communities? When Concord Public Schools contacted Sage Island, they needed help on a number of fronts. Each of their six schools had independent websites that offered no consistency linking them as part of one district. They also had a vast amount of information they needed to communicate clearly and effectively to their individual communities and to the larger district. As an added challenge, much of this information was not static, but constantly changing and updating, such as new events, school cancelations, and special programs. They knew it would be a challenge to overcome these obstacles, but they also knew it was an important part of upholding their mission of helping their students become lifelong learners and caring citizens. They were committed to getting it right. The Sage Island team developed new websites for the entire district, creating a consistent look across each community, and creating templates that allowed them to update and add information as needed. We began by designing a new website for the entire district, which could then be used as a template for each of the six schools within in. 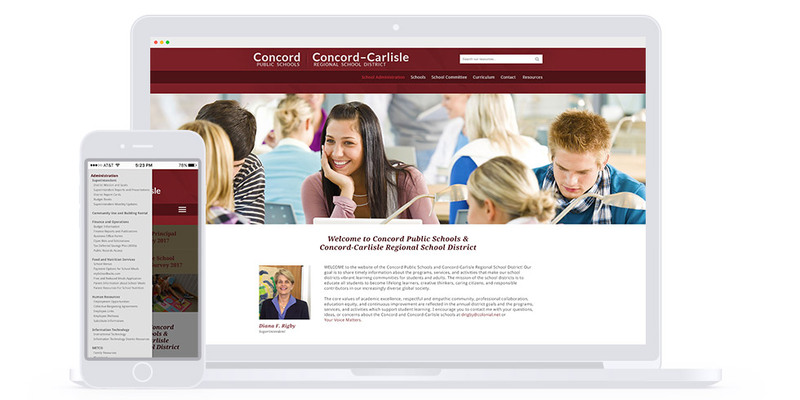 We kept the website design fairly simple, using red and tan accents, eye-catching photos, and a simple textual logo to convey who Concord Public Schools serves and what they value. 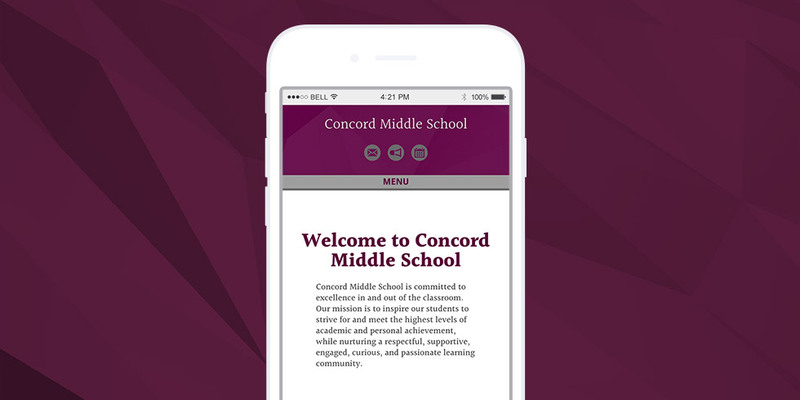 The site includes a space for the Superintendent to extend a personal welcome, as well as a link to her Twitter account, where she can connect with the Concord community in real time. 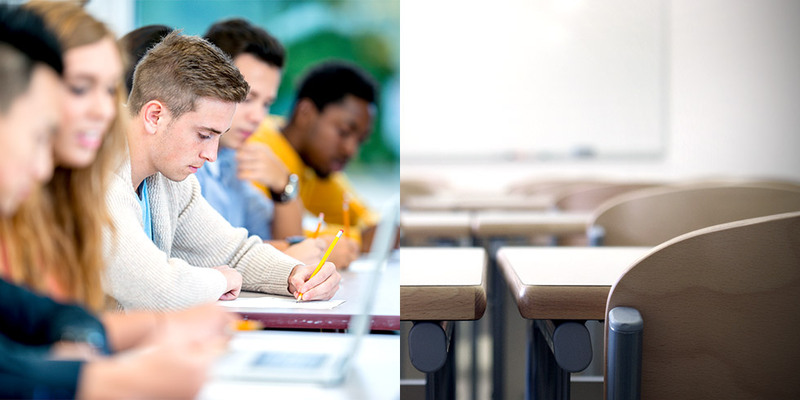 Each sub-site—that is, the six schools within the district—have very similar sites. The layout of each one is the same, but are customized with each school’s colors, mascots, and logos. This is why, for example, Alcott Elementary School uses royal blue and a wise owl in its header, while Concord Integrated Preschool sports lighter blue and a tree logo. Because these websites have a similar structure but different variations, they are linked while still maintaining their own individuality and promoting school spirit. 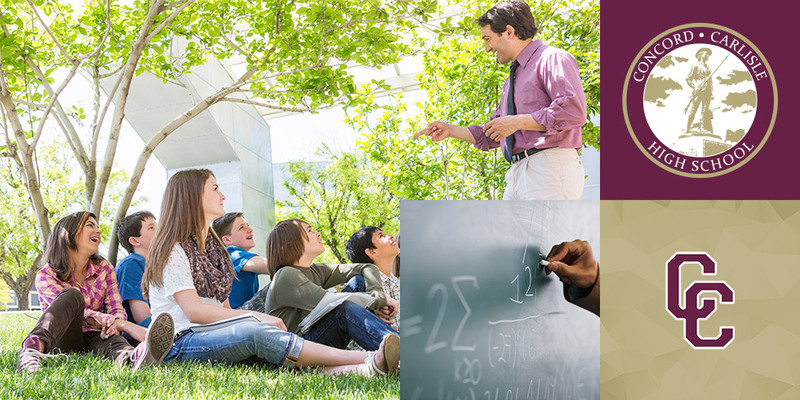 At the bottom of the Concord Public School’s homepage (and thus at the bottom of each school’s homepage) there are three columns where information flows in dynamically. While each school uses “Latest News” on the left and “Upcoming Events” on the right, the middle column varies depending on their needs. For example, the district page includes the Superintendent’s Twitter feed, while Willard Elementary School uses “Principal’s Update” and Concord Integrated Preschool has a simple “Bulletin Board.” This allows each school to personalize their sites based on their individual needs, rather than shoehorning them all into a one-size-fits-all approach. In addition, these dynamic feeds are set up to be automatic, which means “Latest News” and “Upcoming Events” are always up-to-date and relevant—all without administration having to lift a finger. This is a huge benefit to those who work at the various schools and manage their websites. It’s one less thing to worry about, which frees them to focus on what truly matters—their students. The biggest challenge the Sage Island team faced in regard to this project was organizing and streamlining the sheer amount of information and resources. Information is always important, but it’s even more critical for an institution whose mission is learning and knowledge. In order to keep their communities informed and to help users find what they need when they need it, we restructured the whole architecture of the website. First, we went through all the available content with a fine-toothed comb, deleting duplicate content and grouping resources under different headings. On the main Concord Public School’s site, this resulted in a large drop down menu with links organized under sub-categories such as “Finance and Operations,” “Information Technology,” and “Teaching and Learning,” among others. Because the district site includes information that obtains to all the schools, it has the most resources and links to keep organized and accessible. Thanks to the new structure, they are easy to find and use. On the individual school sites, the menu again varies slightly from site to site. 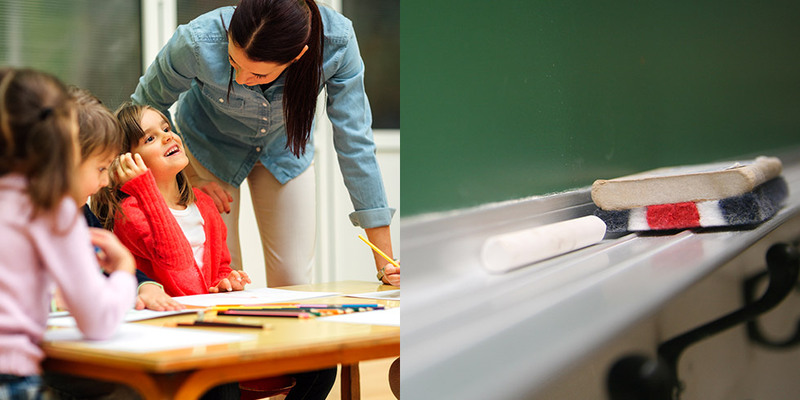 All the schools have an “About” section and most have a “Students” section, while others have space for “Athletics,” “Preschool Staff,” or “Co-Curricular,” depending on their needs. No matter which site you’re on or which menu item you hover over, you’ll find a clearly organized drop down menu leading you to your next step. 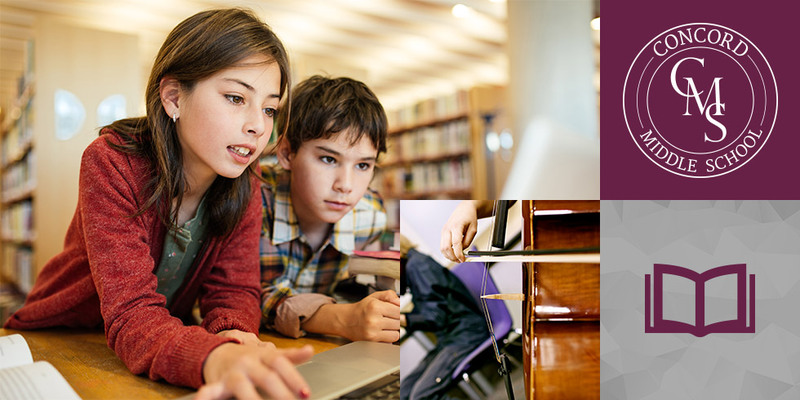 Coordinating with one district and six schools took a lot of time and teamwork, but the result is a series of websites that serves each community, promotes learning and knowledge, and links the schools to one another and to their district. If you’re a member of a large organization or educational institution that needs a consistent branding and organized websites, contact Sage Island. We’d love to help you achieve your goals through the power of smart, simple design.